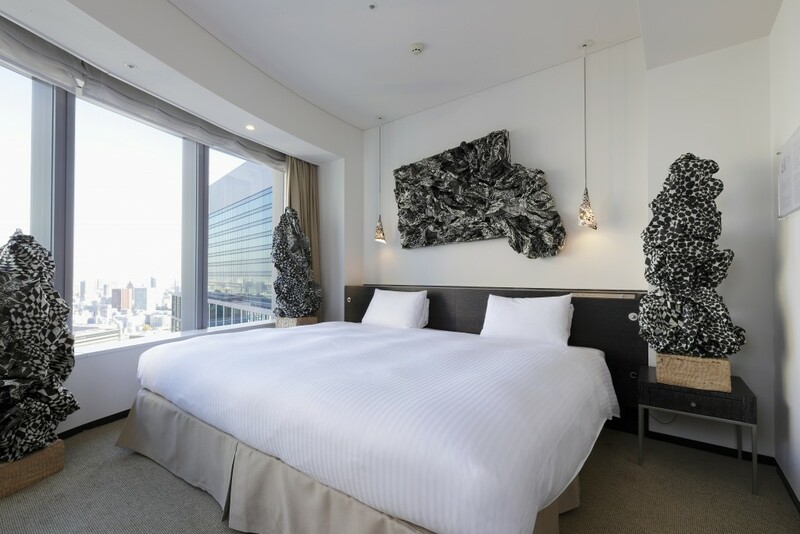 Like many other hotels in the heart of Tokyo, the Park Hotel is situated on the top floors of one of Japan’s mammoth skyscrapers. 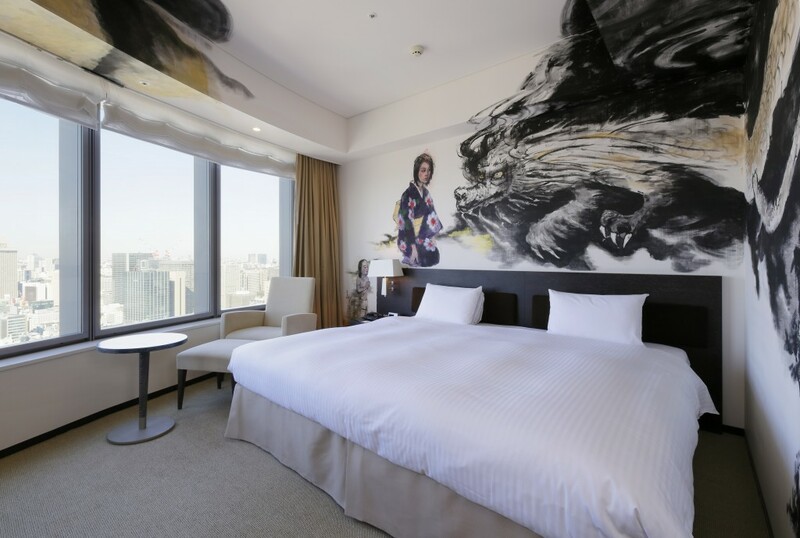 Located in the Shiodome Media Tower, the Park Hotel stands out from other accommodation as the centre of the building has been hollowed out so that all of its 273 rooms face outwards, giving amazing views of Tokyo city and iconic landmarks. 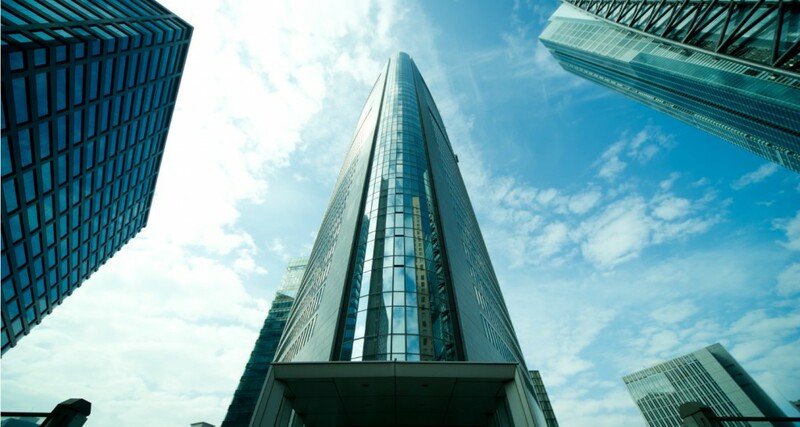 This has created a 10-storey atrium which extends 120 feet straight up into the skyscraper’s glass ceiling, allowing natural light to stream in and light up the hotel’s popular lounge. 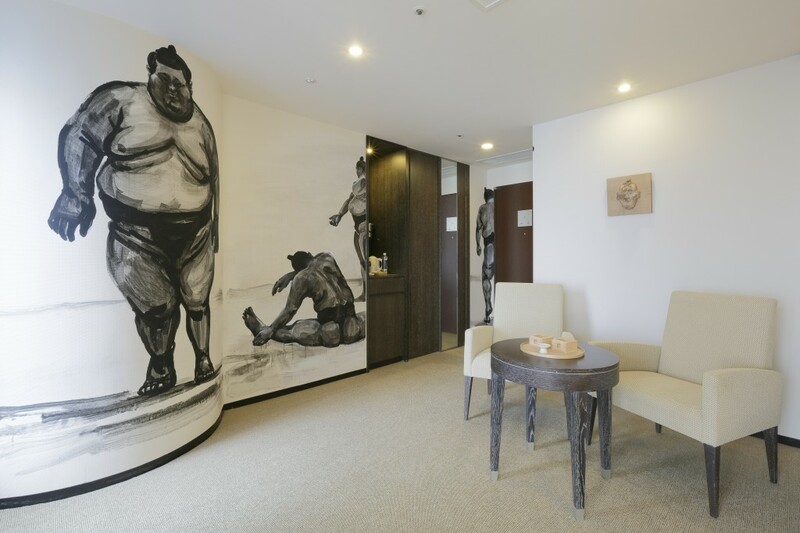 The rooms vary in size, depending on which package you take, but they are all reasonably sized, a lot larger than what you usually find in Tokyo. 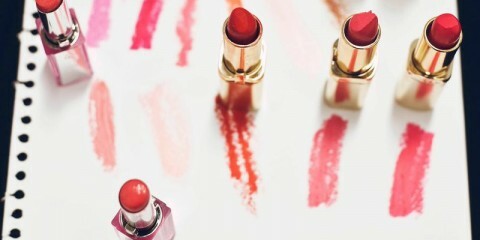 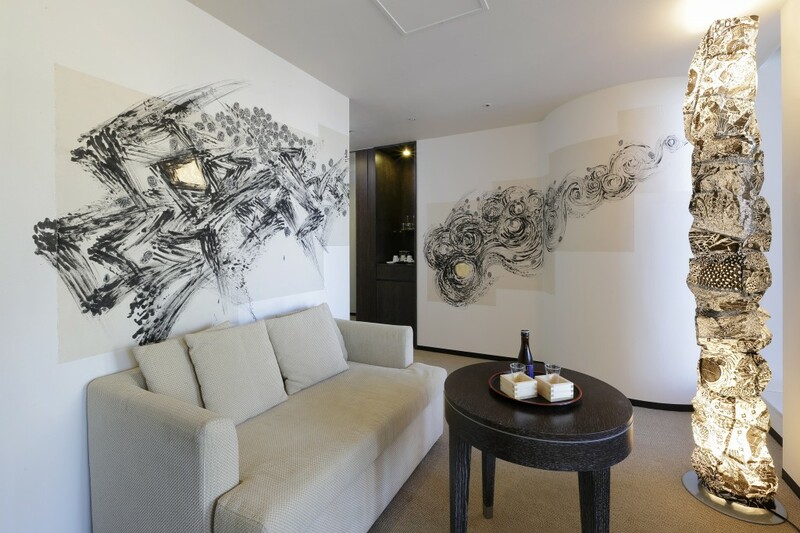 They are all modern, furnished with dark wood and earthy fabrics. 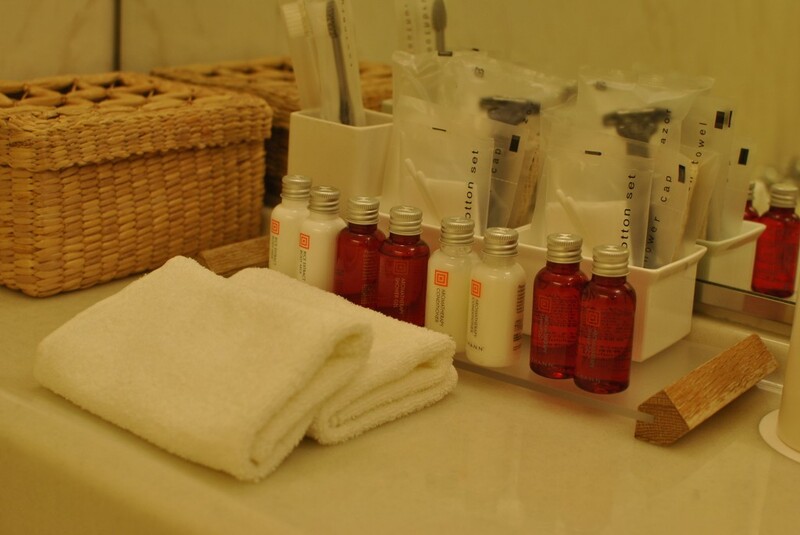 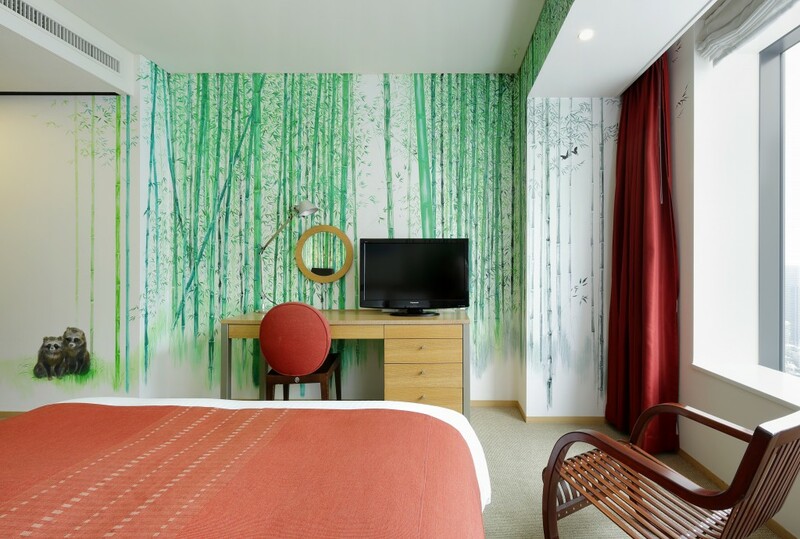 Each room offers luxurious products from THANN Aromatic Wood Collection, Dé-Signe nightwear and original pillows developed in cooperation with Lofty, Co. Ltd all guaranteed to make your stay as comfortable as possible. 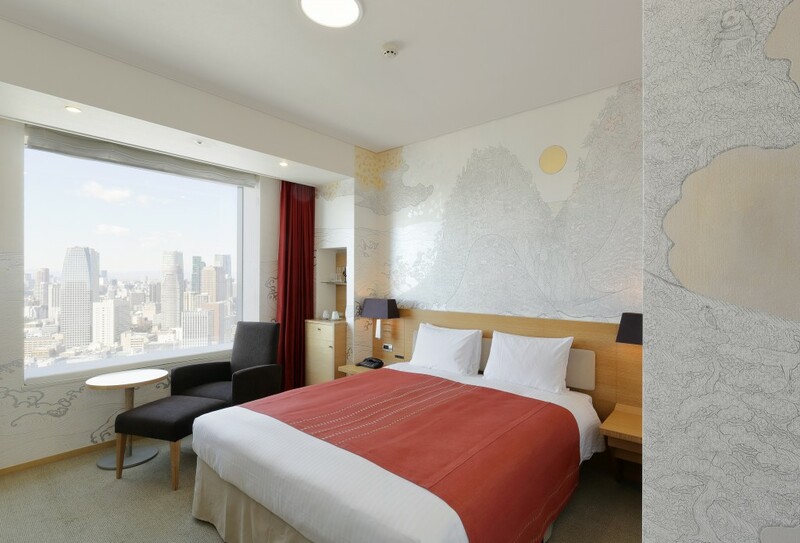 You can opt of a room with a view of the nearby Tokyo Tower which not only looks impressive during the day, but lights up at night. 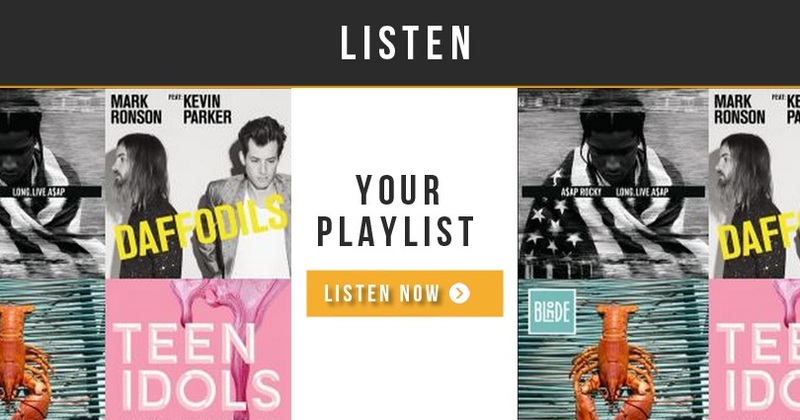 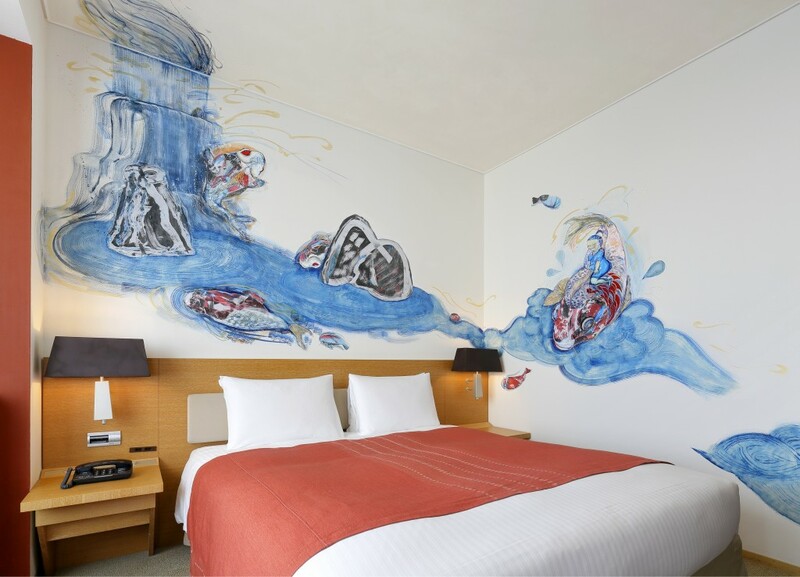 What really sets the Park Hotel apart from other hotels it its ‘Artist in Hotel’ concept. 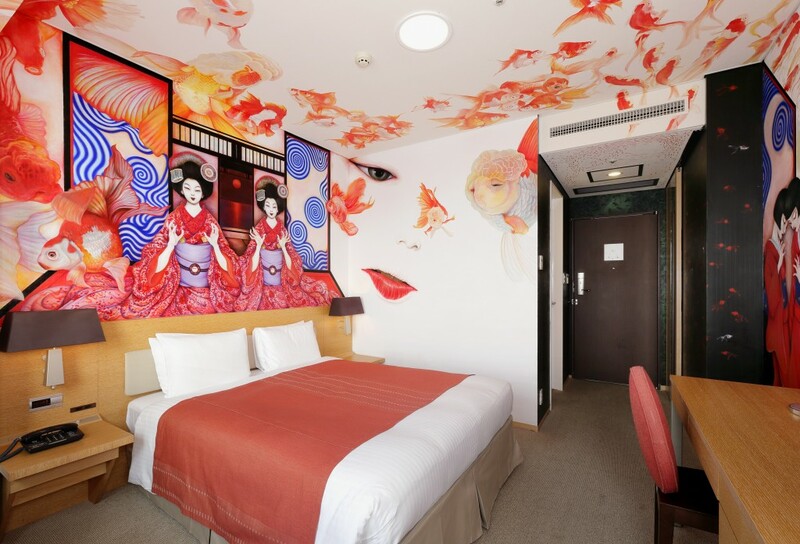 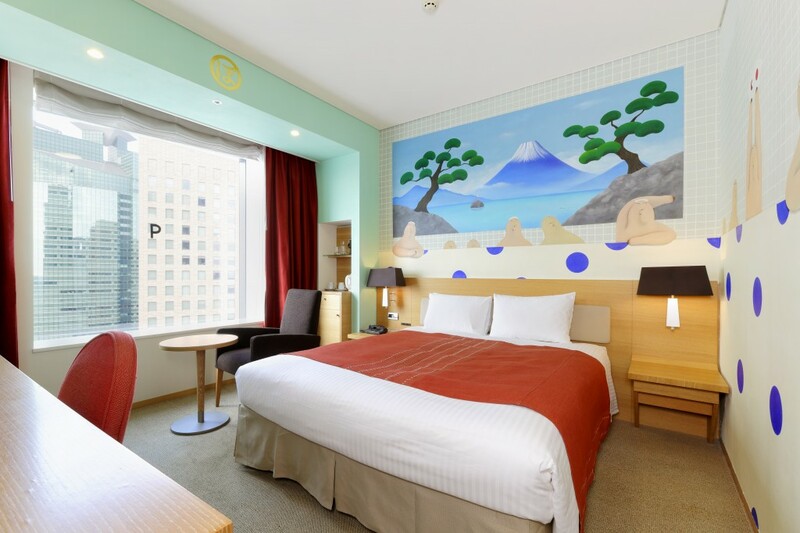 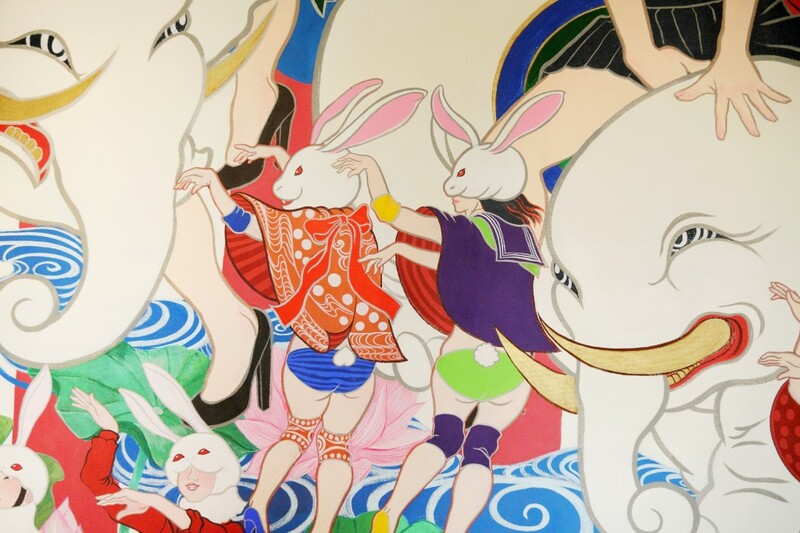 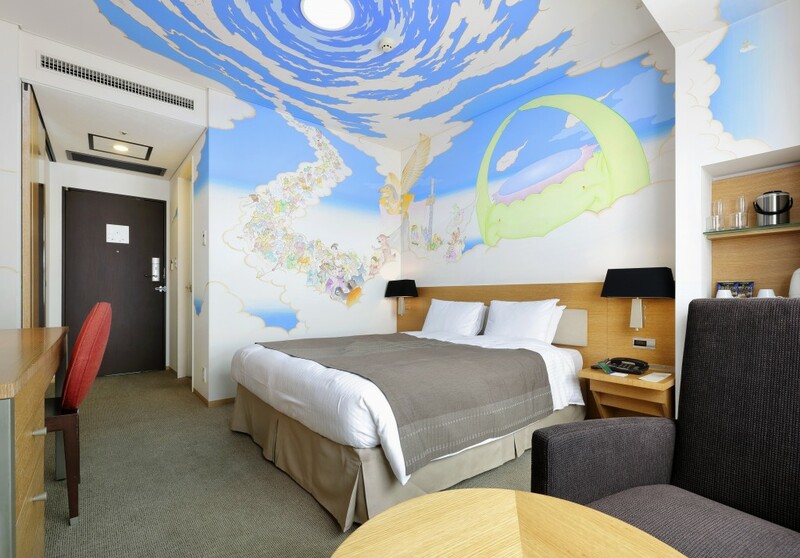 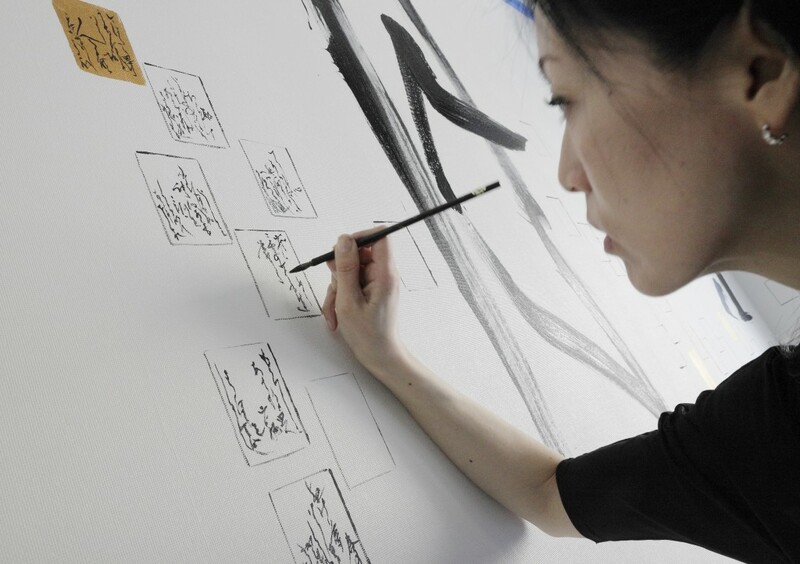 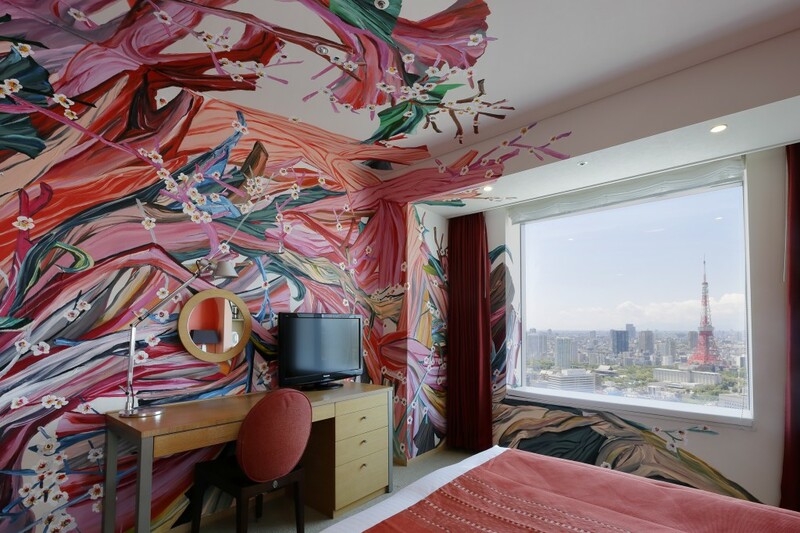 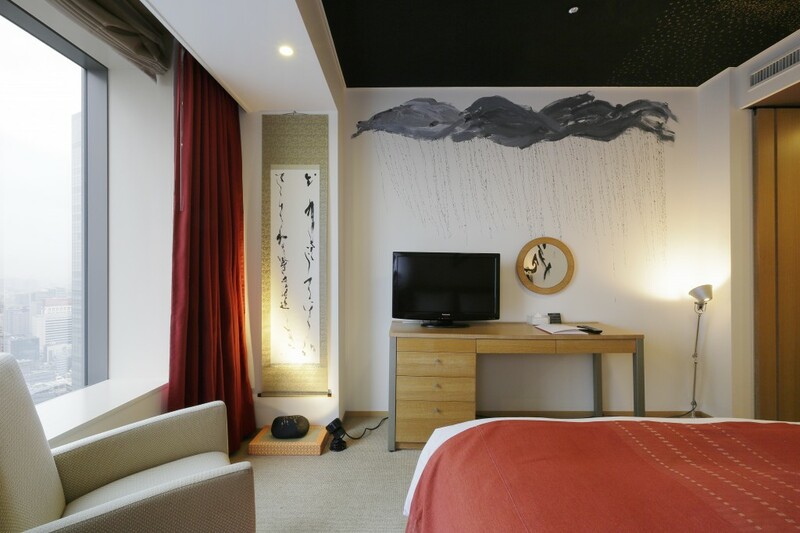 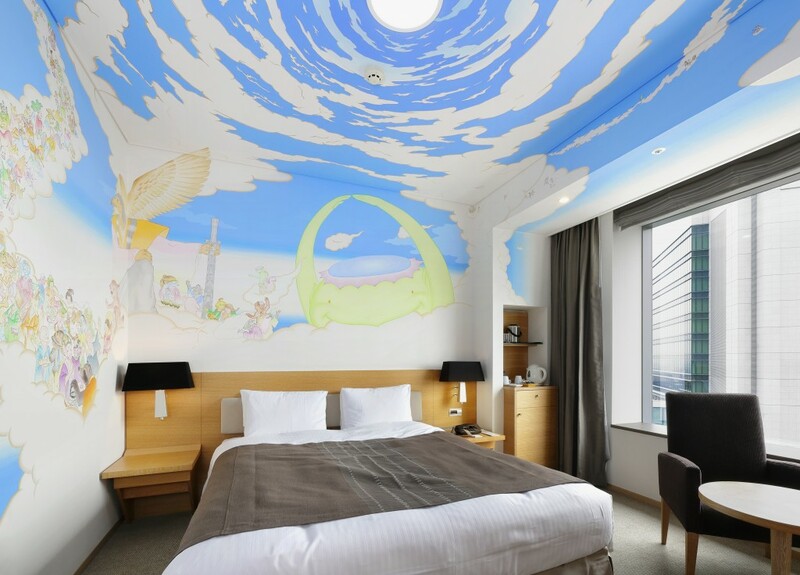 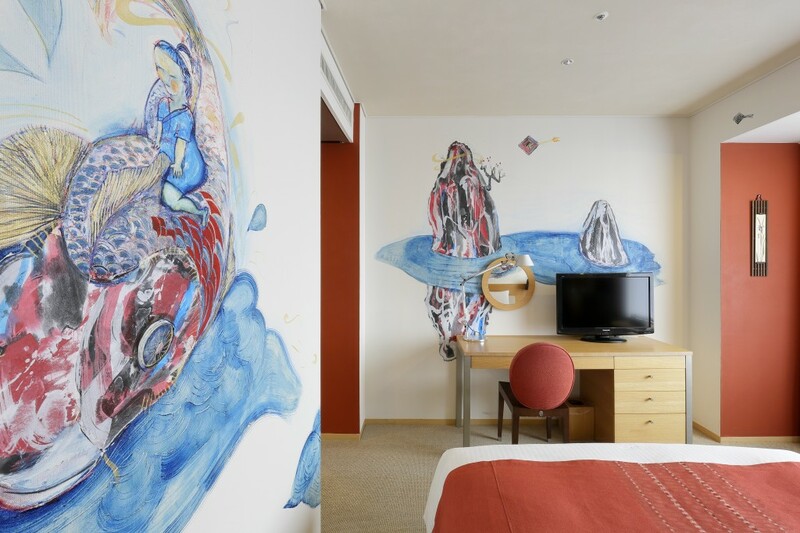 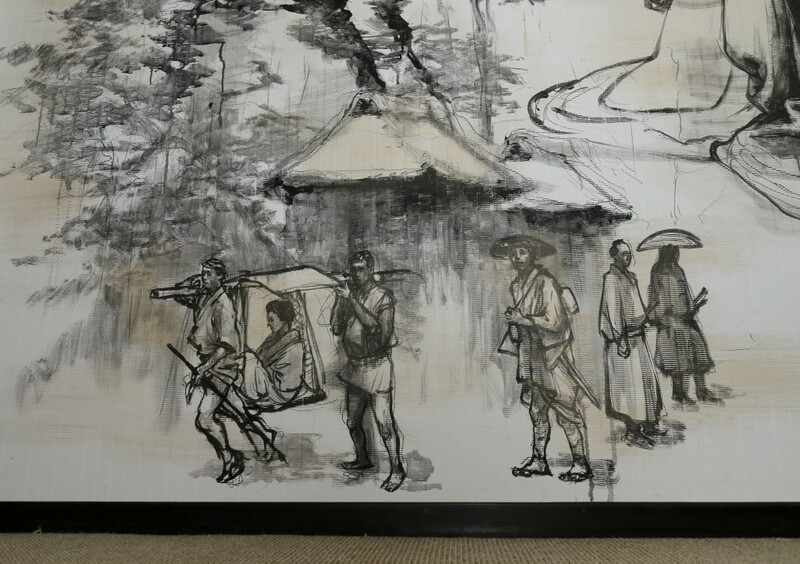 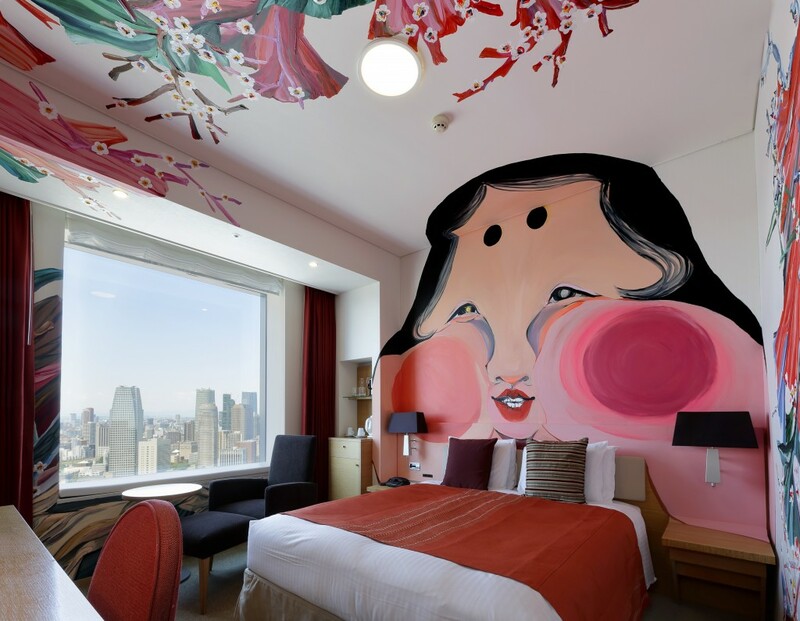 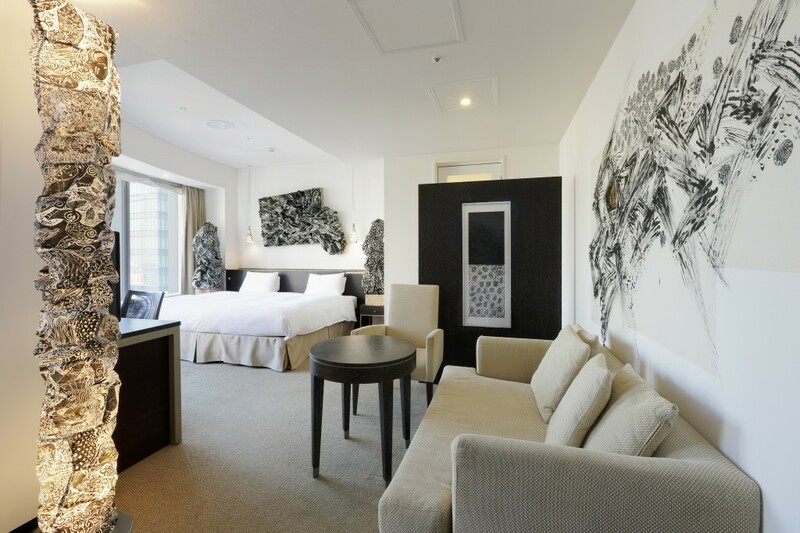 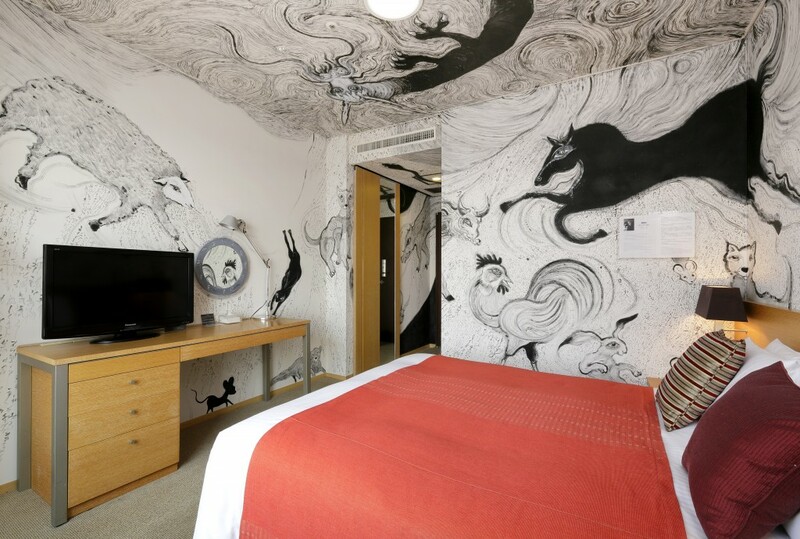 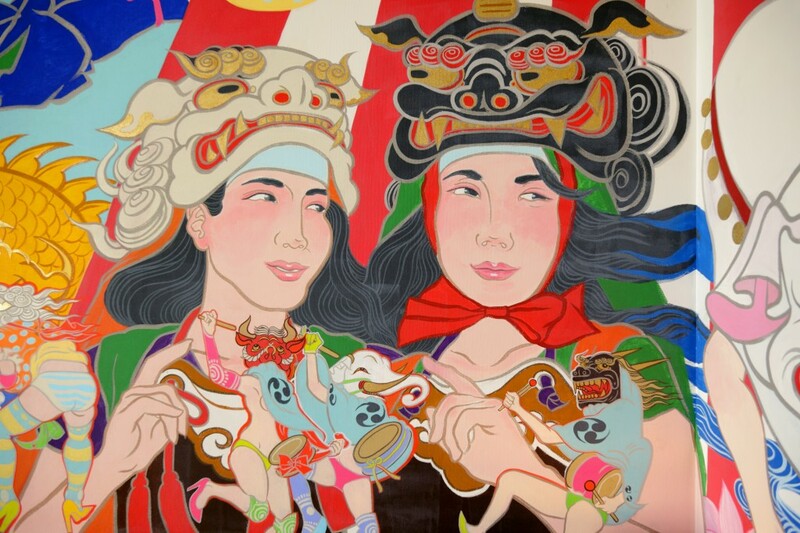 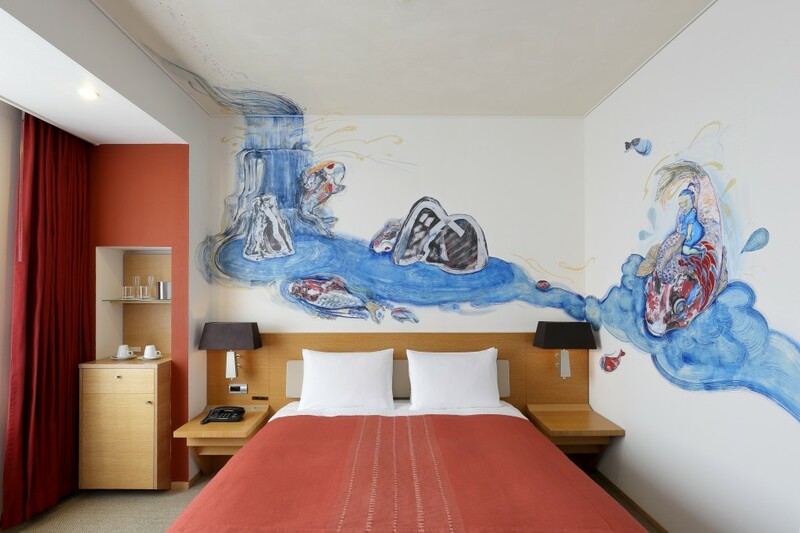 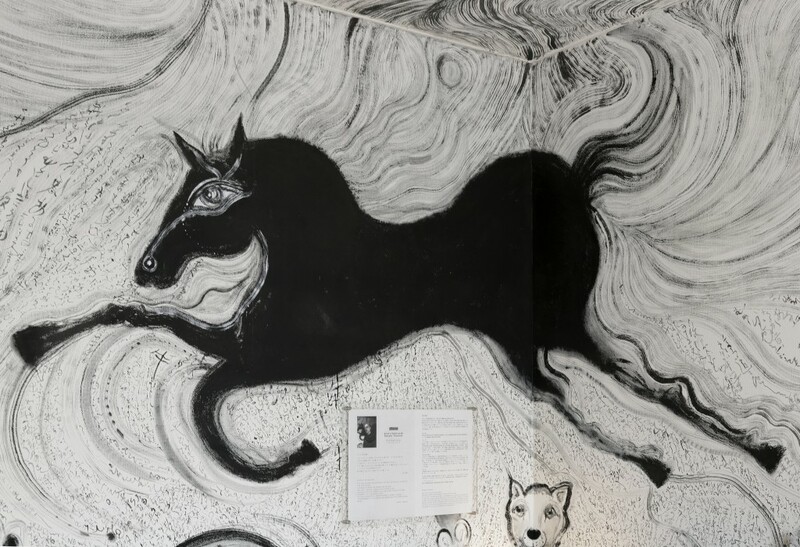 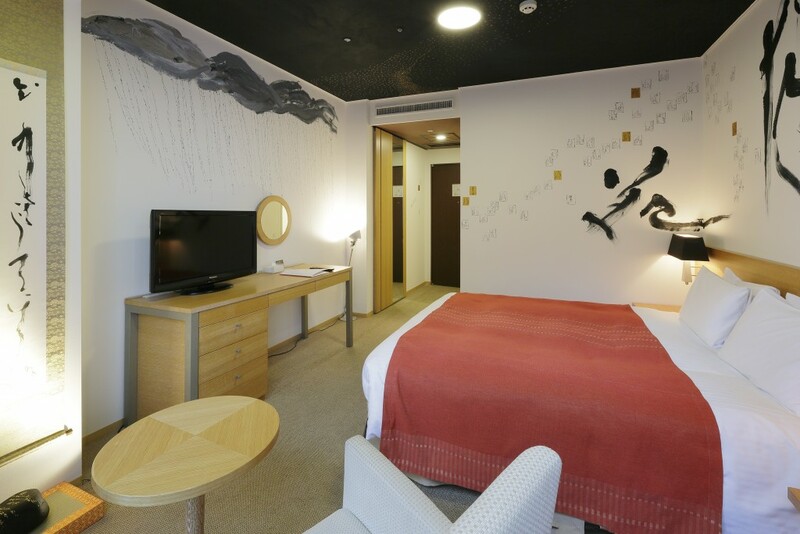 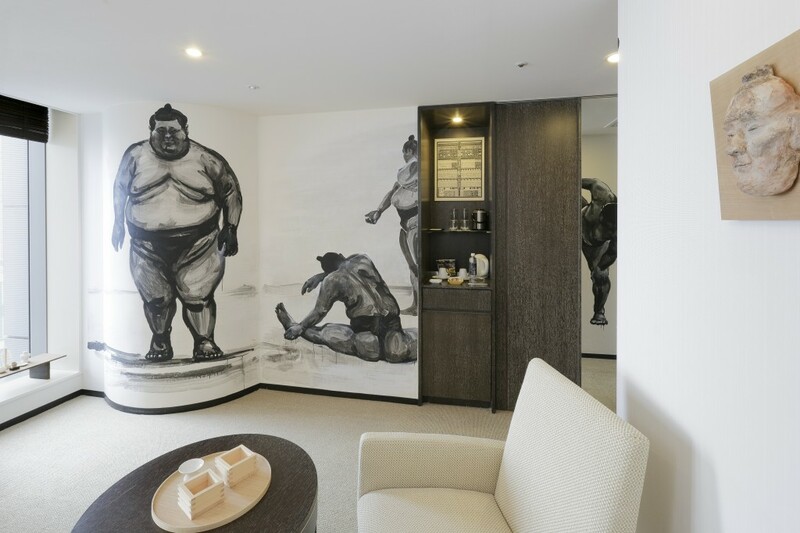 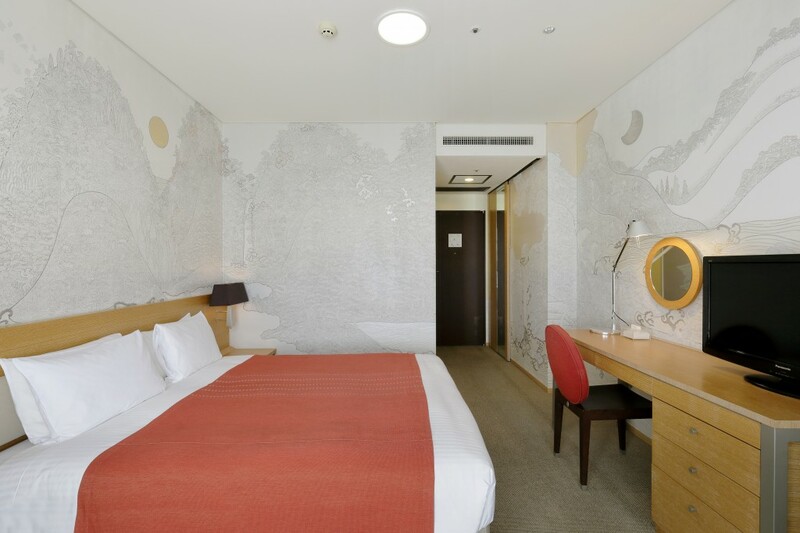 Started in December 2012 to launch in at the same time as the hotel’s 10th anniversary, the hotel has recruited some of Japan’s top artists to decorate an entire guestroom on the 31st floor of the building. 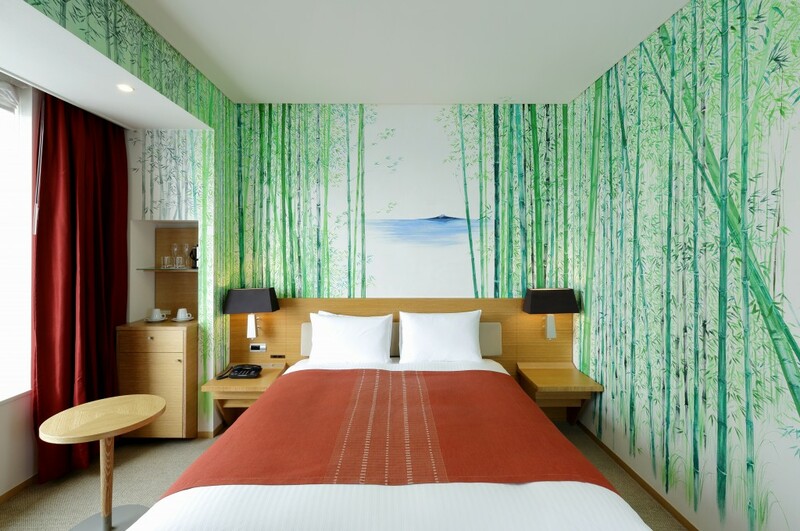 To date, 16 rooms have been completed, with all 31 rooms on the floor expected to be completed by the end of next year. 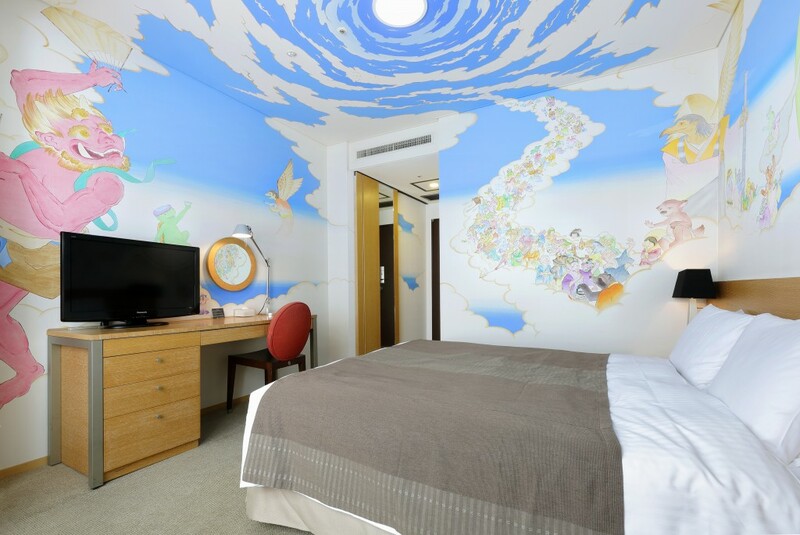 Guests can book into stay in one of these special rooms, each having its own special design. 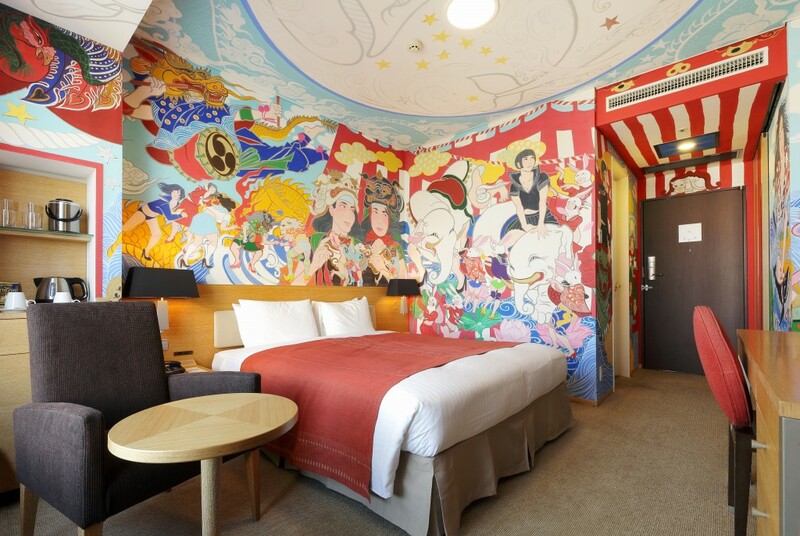 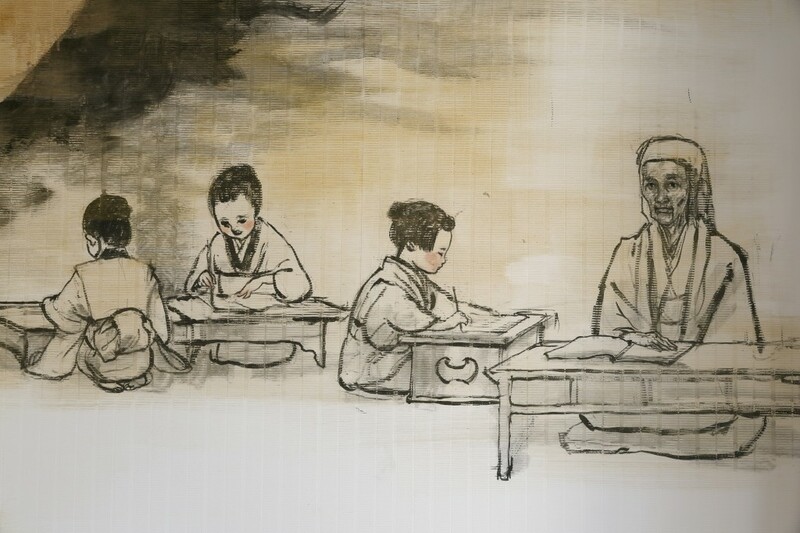 This is the unique way the Park Hotel is celebrating Japan’s artistic talent and history with its many guests. 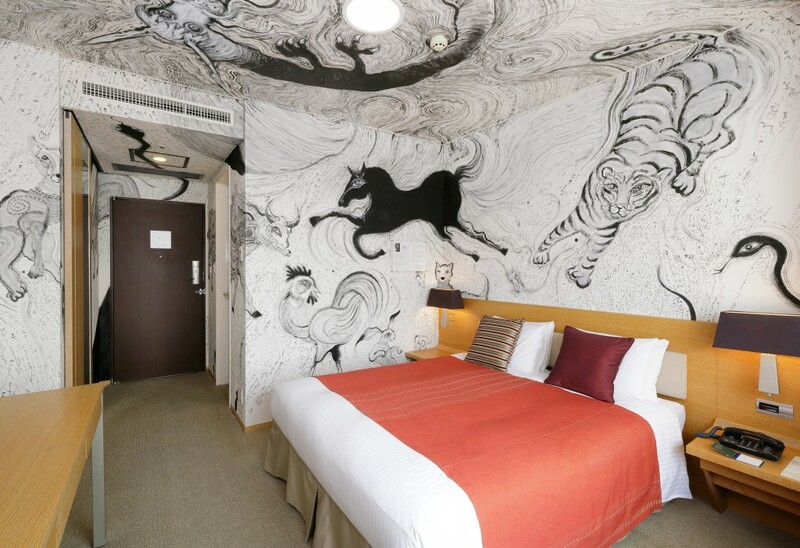 Highlights include the Dragon Room by Kiyoko Abe which features a painting of a huge black dragon flying across the room, the Zen Room by Seihaku Akiba, the Cherry Blossoms Room by Hiroko Otake and the Public Bathhouse Room by Keiko Migita. 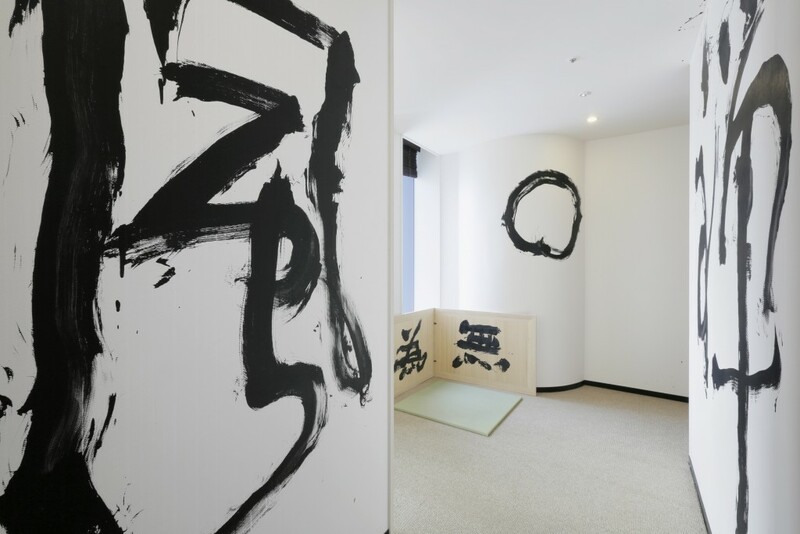 These rooms all capture a unique aspect of Japan’s rich culture. 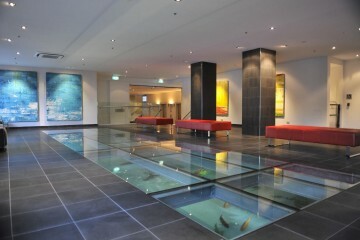 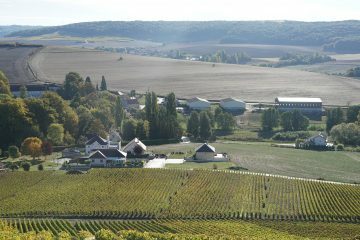 The lobby houses a French restaurant which is popular with the local business crowd. 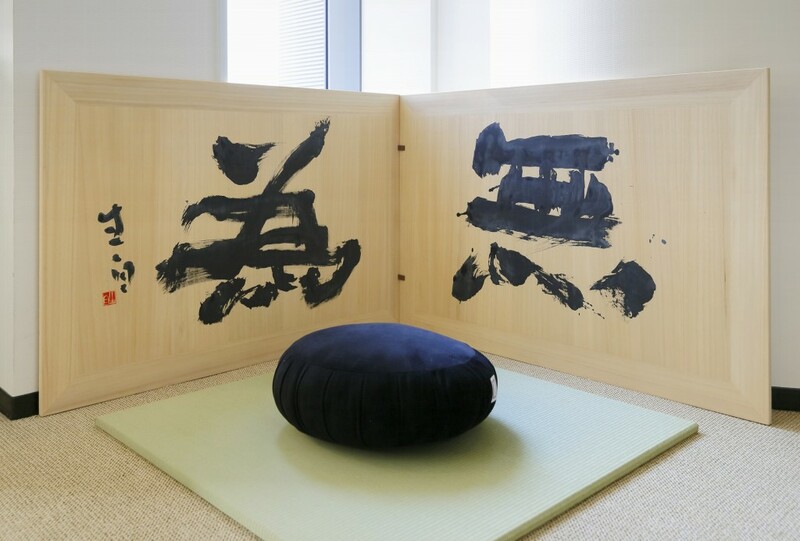 There is also an in-house Japanese restaurant if you want something more traditional. 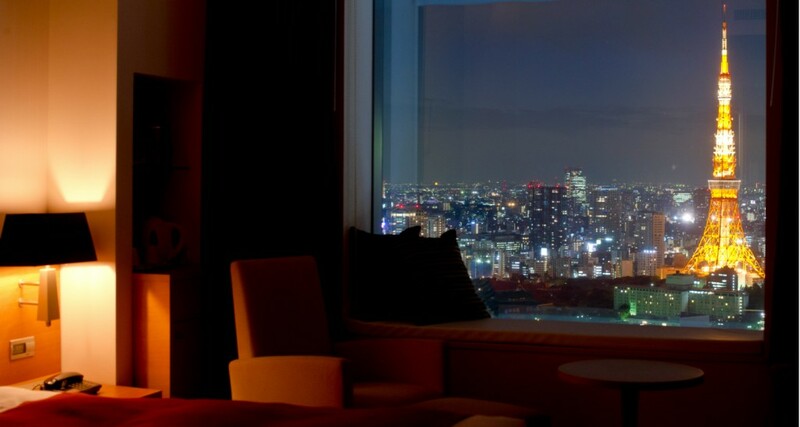 You can wind down after a busy day with a relaxing drink in the hotel’s whisky bar which offers a great view of the bustling Japan streets. 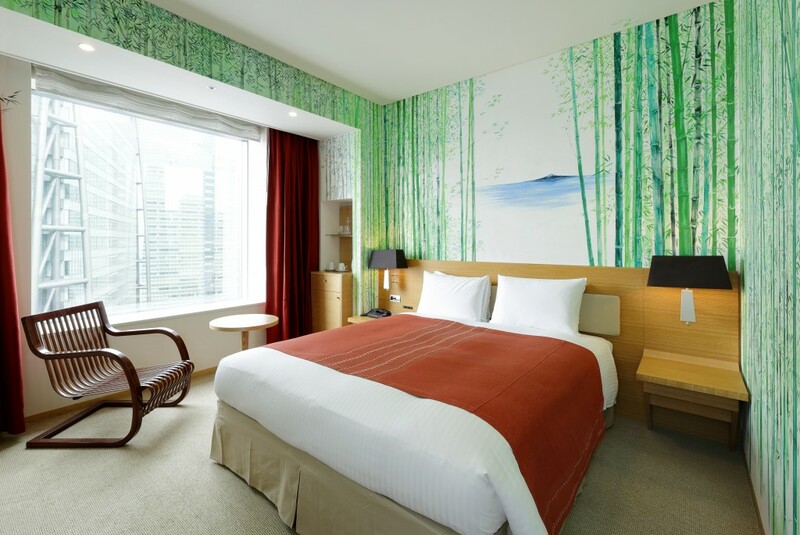 The Park Hotel is conveniently located just a short walk from the Ginza shopping district, Japan’s financial district and the Shiodome station. 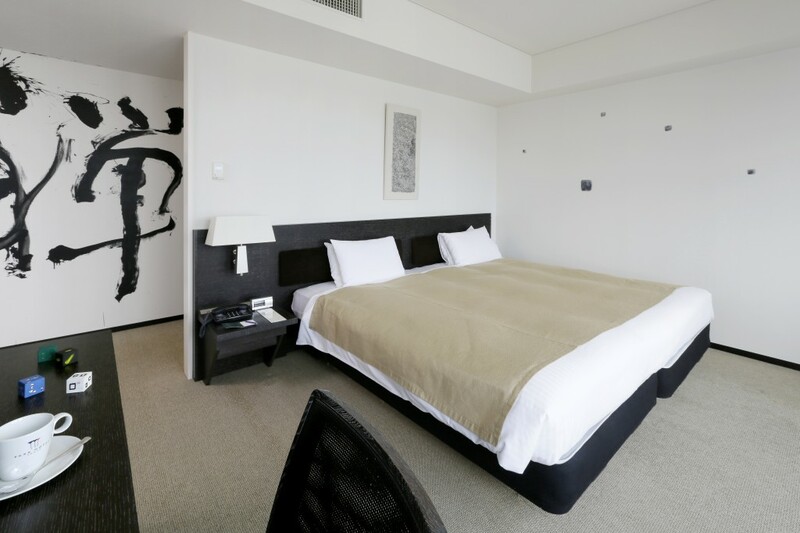 There is a shuttle to the airport costing $31AUD per passenger, making transfers easy. 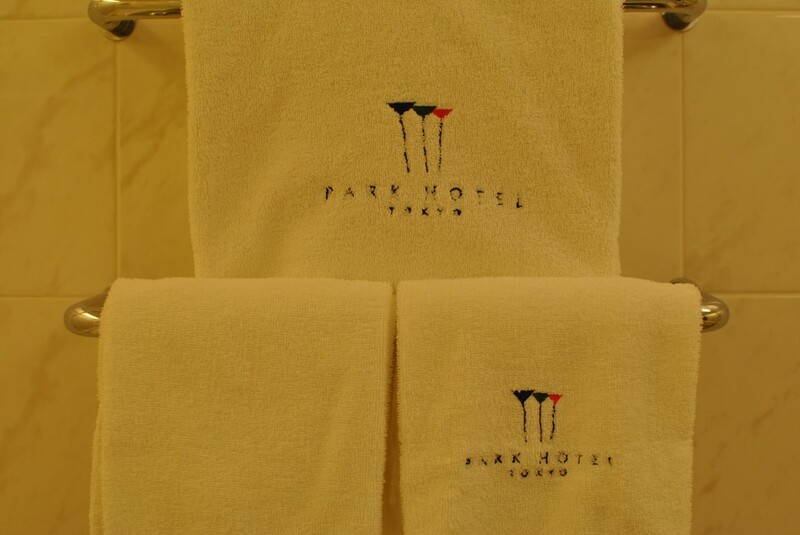 Click here to find out more about the Park Hotel and to book your next stay.